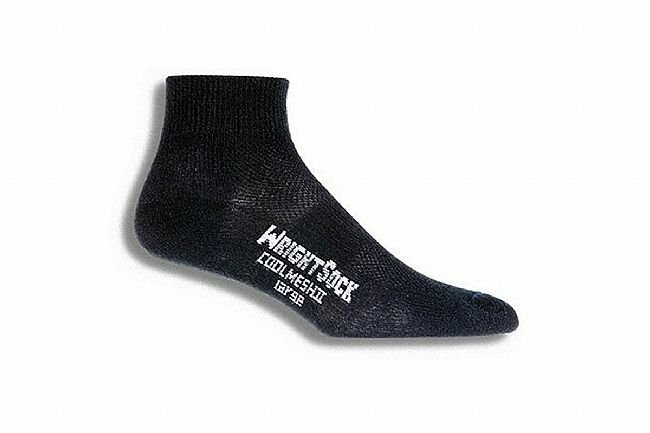 Wrightsock’s Coolmesh II Quarter Run Sock offers reduced friction and less blistering thanks to its anti-blister WRIGHTSOCK™ Double Layer construction and arch stabilizing design. 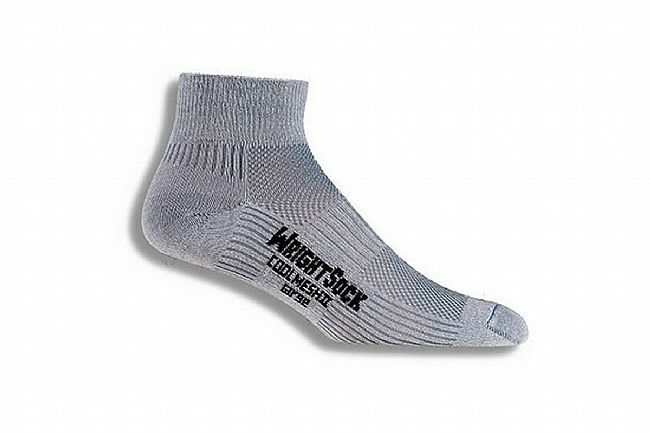 This sock is made from durable, moisture-wicking Dri-WRIGHT™ ll performance fibers with integrated mesh paneling for even greater breathability. Moisture-wicking Dri-WRIGHT™ ll performance fibers. Mesh paneling for increased breathability. Inner Layer: 70% Dri-Wright® II Polyester, 26% Nylon, 4% Lycra®. Outer Layer: 71% Dri-Wright® II Polyester, 24% Nylon, 5% Lycra®.